Rail Baltica Joint Venture is looking for a contractor to design a 1435-millimetre gauge railway between Riga airport and adjacent capital of Latvia. The 56-kilometre line should be designed in two years after signing the deal. The future contractor should develop a master design, value engineering studies, spatial planning solutions, and detailed technical design. The design author’s supervision is also included in the procurement. The future railway line will be located in densely populated urban areas. 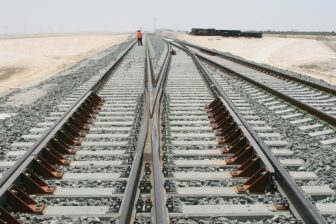 Therefore, the design company should take into account all options and obstacles for the railway construction. For instance, the tunnel will be designed near the airport. The agreement with the future contractor should be signed next year. Earlier, six groups of suppliers were preselected to take part in the second stage of the tender. The deadline for bids is 22 January 2019. Rail Baltica is a key railway project for the Baltic states. A 870-kilometer double-track electrified line will connect the region with the EU’s network by the same gauge railway (currently, the three countries have a 1520-millimeter gauge, like in Russia or Kazakhstan). The project’s estimated cost is 5.8 billion Euros, 4.6 billion Euros will be provided by EU. 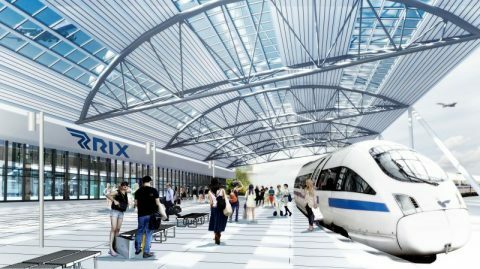 Rail Baltica will allow passenger trains to operate at a maximum speed of 240 kilometres per hour, and freight trains at 120 kilometres per hour. The construction started in September 2013. Now, the line has been completed on the Šeštokai – Kaunas section. It allowed launching the direct passenger train from Bialystok, Poland, to Kaunas, Lithuania, in June 2016. “Since Rail Baltica is the key missing link of the Trans-European Transport network, I carefully follow its progress,” commented State Secretary of the Ministry of Transport of Latvia Kaspars Ozoliņš. The line is expected to link all the Baltic capitals by 2026. It is worth noting that only Vilnius airport, one among six international airports in the region, has a railway link with the adjacent city. 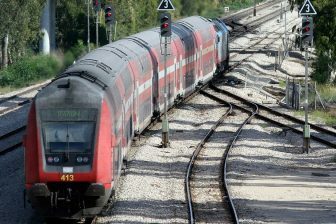 The train between the city and the airport was launched in October 2008. Tallinn airport has no direct railway link, meanwhile, the passenger terminal is situated closely to Ülemiste railway station, at circa 1 kilometre. 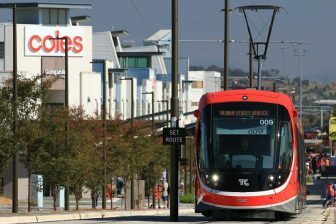 Moreover, this airport has a tram connection with the city. The other airports are served by buses and taxis.